Larceny is the legal term for the act of stealing property from another person. Depending on the value of the property, where the theft occurred, and whether the person has prior larceny convictions, larceny can be charged as either a felony or a misdemeanor. Larceny crimes carry serious criminal punishments that can include jail and fines. If you are under investigation or have been charged with larceny, you need an experienced Michigan larceny lawyer. 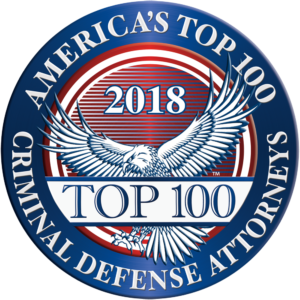 Our Michigan criminal defense lawyers have decades of experience representing clients in Oakland, Wayne, Livingston, and Macomb counties, as well as in district and circuit courts throughout Michigan. While it isn’t always possible, it is best to have defense counsel representing you from the beginning of a criminal investigation. You have a Fifth Amendment right to remain silent: use it! Don’t make statements until you’ve hired a lawyer. The police may use aggressive tactics to get you to implicate yourself – we can put a stop to this type of interrogation. If you wish to make a statement after we’ve reviewed your case, you can make the statement with the confidence of knowing that you have an experienced larceny defense lawyer at your side. Larceny charges frequently rely upon circumstantial evidence: somebody’s property goes missing and the last person seen near it gets charged. These types of larceny cases can be very defensible at trial. The key to winning at trial is having an experienced trial attorney representing you. 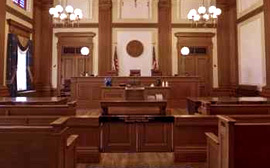 Our Michigan criminal defense lawyers are former prosecutors with decades of courtroom trial experience. We know how to win. If you value your rights, your reputation and your freedom, you need to call Jeffrey Buehner. Your first consultation is free so call now: (248) 865-9640 or fill out our Free Consultation form. If the property stolen has a value of less than $200.00, it is a misdemeanor punishable by up to 93 days in jail and/or a fine of up to $500.00 or 3 times the value of the property stolen, whichever is greater. If the property stolen has a value of $200.00 or more but less than $1,000, it is a misdemeanor punishable by up to 1 year in jail and/or a fine of up to $2,000.00 or 3 times the value of the property stolen, whichever is greater. If the property stolen has a value of $1,000.00 or more but less than $20,000.00, it is a felony, punishable by imprisonment for not more than 5 years and/or a fine of $10,000.00 or 3 times the value of the property stolen, whichever is greater. If the property stolen has a value of $20,000.00 or more, it is a felony, punishable by imprisonment for not more than 10 years and/or a fine of $15,000.00 or 3 times the value of the property stolen, whichever is greater. (1) A person who commits larceny by stealing or unlawfully removing or taking any wheel, tire, air bag, catalytic converter, radio, stereo, clock, telephone, computer, or other electronic device in or on any motor vehicle, house trailer, trailer, or semitrailer is guilty of a felony, punishable by imprisonment for not more than 5 years or a fine of not more than $10,000.00, or both. (a) If the value of the property is less than $200.00, the person is guilty of a misdemeanor, punishable by imprisonment for not more than 93 days or a fine of not more than $500.00 or 3 times the value of the property, whichever is greater, or both imprisonment and a fine. The value of the property is $200.00 or more but less than $1,000.00 or less than $200 with prior conviction under this section. The value of the property is $1,000.00 or more but less than $20,000.00 or $200 or more but less than $1,000 and prior conviction under this section. The property has a value of $20,000.00 or more. The person violates subdivision (c) and has 2 or more prior convictions for committing or attempting to commit an offense under this section. 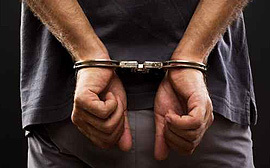 Any person who shall commit the crime of larceny by stealing in any dwelling house, house trailer, office, store, gasoline service station, shop, warehouse, mill, factory, hotel, school, barn, granary, ship, boat, vessel, church, house of worship, locker room, or any building used by the public shall be guilty of a felony. Any person who shall commit the offense of larceny by stealing from the person of another shall be guilty of a felony, punishable by imprisonment in the state prison not more than 10 years. $20,000 or more or prior convictions: Felony punishable by up to 10 years in prison. Buying, receiving, possessing, concealing, or aiding in concealment of stolen, embezzled, or converted property or motor vehicle; violation; penalty; rebuttable presumption; enhanced sentence based on prior convictions; prohibited defense. The property has a value of $20,000.00 or has a value of $1,000.00 or more but less than $20,000.00, and the person has 2 or more prior convictions for committing or attempting to commit an offense under this section. The property has a value of $1,000.00 or more but less than $20,000.00 or has a value of $200.00 or more but less than $1,000.00, and the person has 1 or more prior convictions for committing or attempting to commit an offense under this section. 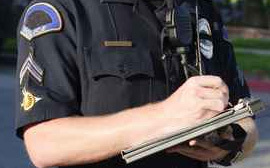 The property purchased, received, possessed, or concealed has a value of $200.00 or more but less than $1,000.00 or has a value of less than $200.00, and the person has 1 or more prior convictions for committing or attempting to commit an offense under this section or a local ordinance substantially corresponding to this section. (5) If the property has a value of less than $200.00, a person who violates subsection (1) is guilty of a misdemeanor punishable by imprisonment for not more than 93 days or a fine of not more than $500.00 or 3 times the value of the property purchased, received, possessed, or concealed, whichever is greater, or both imprisonment and a fine. Whether your larceny charge is a misdemeanor or felony, the consequences can be life changing. What’s more, handled without proper care or adequate attention, larceny charges can be extremely difficult to put behind you as a larceny conviction can have long-term employment consequences. That’s why having an attorney with extensive larceny case experience on your side is an investment in your future – an investment you can’t afford to overlook. Jeffrey Buehner has more than 22 years of experience in Michigan law, with many positive outcomes involving larceny cases under his belt. When you hire Larceny Lawyer Jeffrey Buehner to manage your case from start to finish, your chances for success will increase significantly. Call our offices today! Successfully defending a charge involving Michigan larceny laws requires a skilled Michigan larceny lawyer to navigate through the criminal justice system. Those facing larceny charges want an attorney who knows Michigan larceny law, has extensive experience in the State of Michigan, and has firsthand knowledge of the people you’ll come up against in court. For more than 22 years, Jeffrey Buehner has served larceny clients in Detroit, Royal Oak, Farmington Hills, Utica, Sterling Heights, Howell, Ann Arbor, and beyond. If you’re looking for the best Michigan lawyer out there, look no further than Jeffrey Buehner. Imagine life permanently altered from the one you know today. Not appealing? Jeffrey Buehner can help. 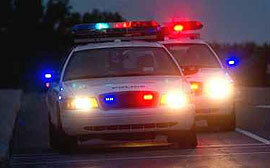 By helping you avoid the costly and potentially life-altering effects of a larceny charge, your life will go on. We know, because we have made a difference in the lives of larceny clients across Michigan. Today, they’d tell you to retain the professional assistance of Michigan Criminal Lawyer Jeffrey Buehner from the outset of your case. Call today, and we’ll schedule a free consultation. During the consultation, our team will assess the details of the charge and gather related information while the situation is still fresh. After, we will handle everything, including document filing, appointment scheduling, strategy planning and court appearances. Most clients who try to take this all on by themselves quickly feel overwhelmed by the complicated process. More importantly, their larceny cases do not end well. For the opportunity to move forward with life, call (248) 865-9640 or fill out our Free Consultation form now.